A worm-like creature with legs and spikes finally finds its place in the evolutionary tree of life. One of the most bizarre-looking fossils ever discovered- a worm-like creature with legs, spikes and a head difficult to distinguish from its tail- has found its place in the evolutionary Tree of Life, definitively linking it with a group of modern animals for the first time. The animal, known as Hallucigenia due to its otherworldly appearance, had been considered an’ evolutionary misfit’ because it was not clear how it was related to modern animal groups. Researchers from the University of Cambridge have discovered a crucial link with modern velvet worms, also known as onychophorans, a relatively small group of worm-like animals that reside in tropical forests. The results have been published in the advance online edition of the journal Nature. The affinity of Hallucigenia and other contemporary ‘legged worms’, collectively known as lobopodians, has been very controversial, due to the lack of clear characteristics linking them to each other or to modern animals It has been difficult to determine their evolutionary home. Also, early interpretations of Hallucigenia, which was first identified in the 1970s, placed it both backwards and upside-down. Originally, the spines along the creature’s back were thought to be legs and the legs were thought to be tentacles along its back, and its head was mistaken for its tail. Hallucigenia resided about 505 million years ago during the Cambrian Explosion, a period of rapid evolution when the most major animal groups first appeared in the fossil record. These particular fossils come from the Burgess Shale in Canada’s Rocky Mountains, one of the richest Cambrian fossil deposits in the world. Looking like something from science fiction, Hallucigenia had a row of rigid spines along its back, and seven or eight pairs of legs ending in claws. The animals were between 5 and 35 millimeters in length, and lived on the floor of the Cambrian oceans. A novel study of the creature’s claws unveiled an organisation very close to those of modern velvet worms, where layers of cuticle (a hard substance similar to fingernails) are stacked on inside the other, like Russian nesting dolls. The same nesting structure can also be seen in the jaws of velvet worms, which are no more than legs modified for chewing. While Hallucigenia was a suspected ancestor of the velvet worms, its definitive characteristics linking them together had been hard to find, and their claws had never been studied in detail. Through analysing both the prehistoric and living creatures, the researchers discovered that claws were the connection joining the two animals together. 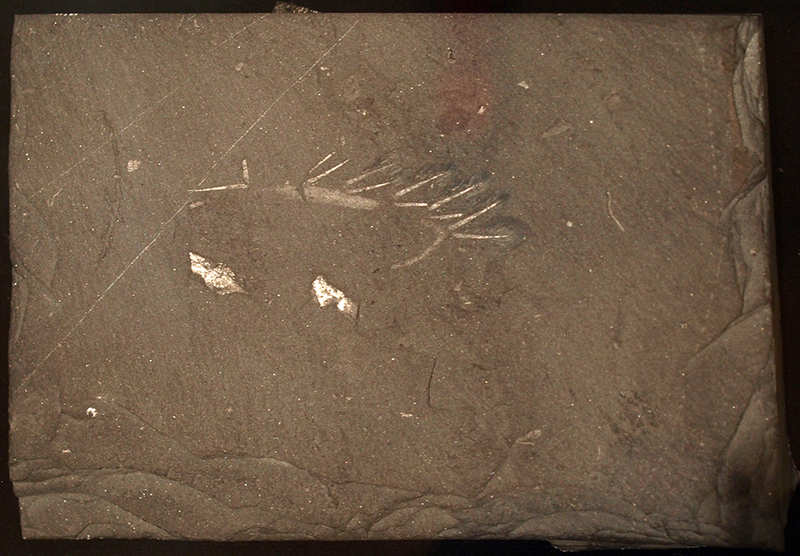 Cambrian fossils continue to produce new information and origins of complex animals, and the use of high-end imaging techniques and data on living organisms further allows researchers to untangle the enigmatic evolution of earliest creatures. “An exciting outcome of this study is that it turns our current understanding of the evolutionary tree of arthropods – the group including spiders, insects and crustaceans – upside down,” said Dr Javier Ortega-Hernandez, the paper’s co-author. “Most gene-based studies suggest that arthropods and velvet worms are closely related to each other; however, our results indicate that arthropods are actually closer to water bears, or tardigrades, a group of hardy microscopic animals best known for being able to survive the vacuum of space and sub-zero temperatures – leaving velvet worms as distant cousins.